I got the call today. The call that makes our manuscript a book… a reality that we can hold, turn the pages of, and wonder of wonders, invite others to read. Because my co-author Karen Cross and I live in the same city as the printer, and the offices of Connections Publishing are in Courtenay, BC, we will be the very first to hold our newly printed book. Even though it’s a one-person job, we will probably make the drive to pick up our box of books together because the writing was such an act of deep collaboration, it would feel wrong to go alone. It’s a thrill that will only be surpassed by learning that it is in the hands of a physical educator or a school or system leader supporting the work of physical educators. · and a classroom is a classroom, whatever the size. More specifically, we realized that the principles of assessment for learning and the gradual release of responsibility (Pearson & Gallagher, 1983) connected us as classroom teacher and specialist. It also became clear to us that not everyone saw it this way. This book describes how what some may think of as principles and structures for teaching “academics” only, apply to teaching physical education. In fact, to us, physical education is an “academic” subject. However, we do acknowledge that in physical education there are special circumstances—time constraints, the number of students, keeping kids active—and we address them all in this book. We are more alike, my friends, than we are unalike. Stay tuned…I’ve got a very important errand to run. Angelou, Maya. 1990. “The Human Family” in I Shall Not Be Moved. New York, NY: Random House. Augusta, Brenda & Cross, Karen. 2017. Making Physical Education Instruction and Assessment Work. Courtenay, BC: Connections Publishing. 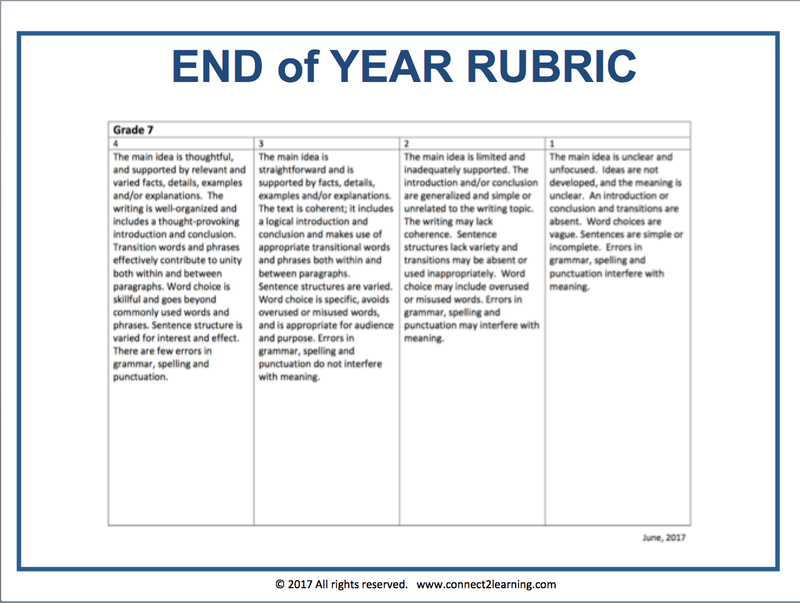 What's in a Writing Rubric? In September Sandra Herbst and I did two writing institutes in Saskatchewan. 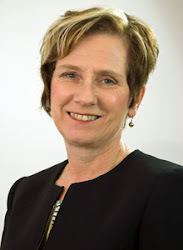 One of our outcomes was to make connections to Saskatchewan’s Education Sector Strategic Plan (ESSP) in the area of writing. 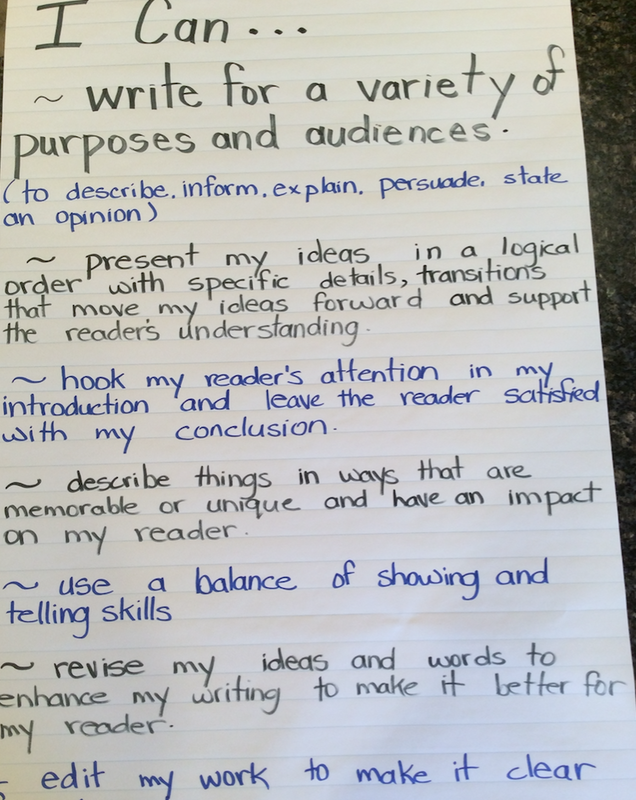 Saskatchewan, like a number of other provinces, has a provincial writing assessment that includes rubrics describing what quality writing looks like at the end of each grade. 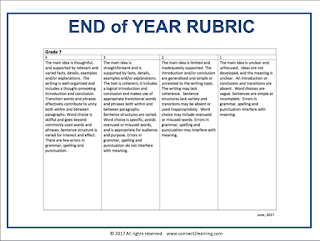 Even though the rubrics are intended for use at the end of the year, we encouraged teachers to adapt them for use with their students right now, as the instructional year begins. 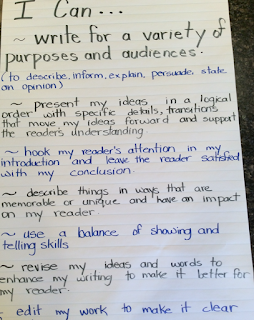 Expectations from the provincial ministry or department of education in the form of rubrics contribute to our understanding of the learning destination in writing (or reading, mathematics…). 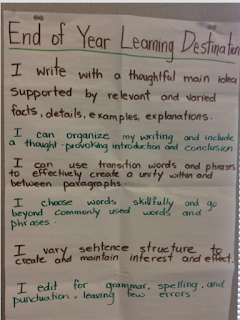 Clearly identifying this learning destination, for our students, and ourselves, is what we mean by beginning with the end in mind. And so, in Saskatchewan, I might take the holistic rubric for Grade 7 (edonline.sk.ca) pictured below and write “I can” statements based on levels 3 and 4 that the documents say describe meeting expectations. In Grade 8 in Manitoba, I might take the language of the provincial writing competency rubric and write a learning destination based on the description for meeting expectations (because why would I show students anything less?) and made more explicit with language from the curriculum and my own understanding of the writing process. · Student writes expository texts for a variety of audiences and purposes (to inform, describe, explain, persuade, state an opinion, etc.). · Word choices and sentence patterns have a definite impact on the reader. · Conventions are applied consistently; errors may exist but do not affect meaning or overall impact. Response has a clear focus, well-developed with sufficient specific and relevant ideas and supporting details. Organization is logical and coherent with effective links between ideas. Response has a thorough relationship to the assigned task. 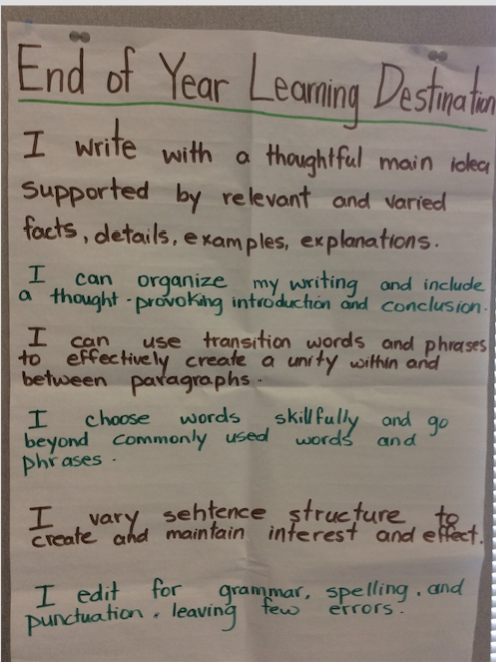 and rewrite it as a learning destination, with details added from the provincial English Language Arts curriculum and my experience and knowledge as a writing teacher, that is specific enough to be meaningful to not only me, but my students as well. 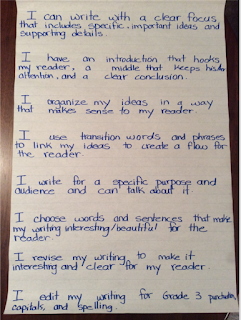 Beginning with the end in mind, I am able to focus on my students and writing instruction that leads to the learning destination described by provincial rubrics and curricula. 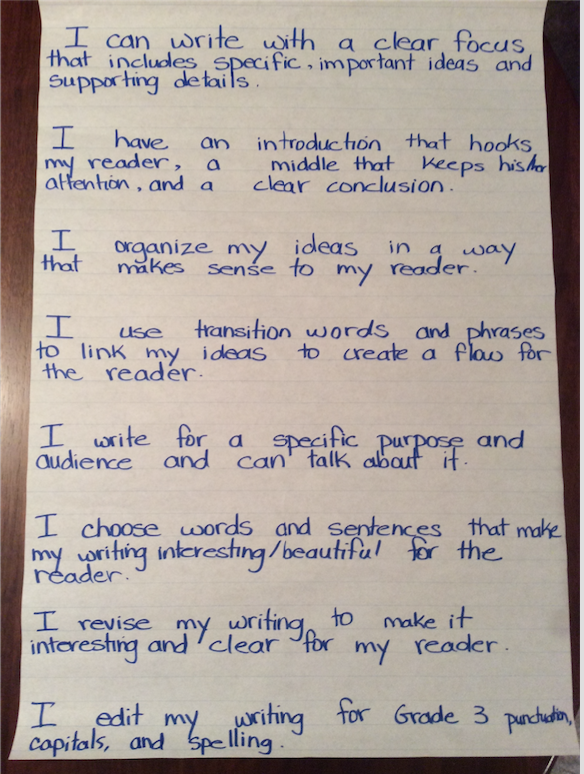 Making writing instruction work is no accident.